Getting the best mortgage home loan for your particular needs is all about doing the proper research so you can hand pick the program that works for your situation in life. There are numerous loan programs available to savvy home buyers. The most common loan programs are the conventional fixed rate mortgage and the adjustable rate mortgage. The fixed rate mortgage program can be further broken down by the length of time. The most common length of a fixed rate loan is either 30, 20 or 15 years. The shorter the loan time frame, the lower the rate will be. The best loan program option generally boils down to how long you expect to remain in the home. Generally speaking most people are always wanting to know how to get the lowest mortgage interest rate for a program that best fits their specific needs. Below you will see a comprehensive review of each of the most common types of mortgage programs. What programs makes sense will depend of both your financial circumstances along with other things such as how long you expect to remain in the home you are purchasing or refinancing. A 30 year fixed rate mortgage is the most common loan program and one that gives the borrower the security of paying one set rate for a long period of time. As a borrower you do not have to worry about your rate going up as it is fixed for the life of the loan. You can be confident knowing your payments will be manageable, and you will be knocking down the principal of the loan and building equity slowly but steadily. The main disadvantage however, to a 30 year fixed rate mortgage is that you will pay a substantial amount of interest during the time you have the loan. 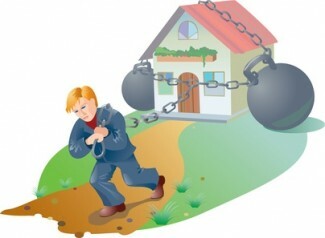 There are ways to avoid the large payout in mortgage interest (see below). The 15 year fixed rate mortgage has become a very popular loan product. It is easy to see why when you see how much extra you pay in interest over the life of a 30 year loan. It can actually be staggering to see just how much money the bank is making in interest! The reason many borrowers opt for the 15 year loan is two fold. When you apply for a 15 year fixed rate loan you will notice that the rate offered is always lower than a 30 year fixed rate loan. Looking at the gap between the two rates can be a serious consideration for a borrower especially as the gap grows larger. With a 15 year loan you will grow your equity in the property far more quickly and save a bundle in interest payments. What you need to be certain of is that you will have no problem making the payments as they will be much larger given the fact the loan will be amortized over a smaller period of time. 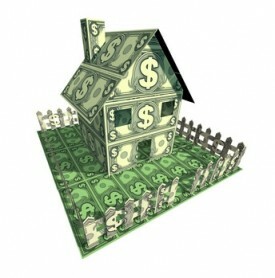 For example on a home mortgage loan of $300,000 over 30 years you will pay $1642 per month for principle and interest. The same payment on $300,000 for a 15 year fixed loan is $2301 which amounts to a difference of $659 per month. Not exactly chump change! If you are uncertain that you can handle the jump in the amount of the payment the best thing to do is go with a 30 year fixed rate loan. You can always add extra principal to your payment each month which will in effect accomplish the same thing as having a shorter mortgage term. By adding the extra principal you will be paying down the note faster which will cause there to be less interest paid over the length of the mortgage. There is always some discussion among financial experts on whether it makes sense to pay down your mortgage. The argument boils down to the fact that mortgage interest is deductible on your taxes. If you are already maxing out your tax-advantaged retirement accounts it may make sense to do so. If you are going to be buying a home and there is near certainty that you will be moving in a short period of time then one of the hybrid adjustable rate programs may suit your needs perfectly. There are a number of adjustable rate options including a 3, 5, 7 and 10 year loan periods. With the hybrid loan, the rate is fixed for a set amount of time and does not go up until you reach the end of that period. These hybrid loans generally have lower rates but usually not enough that you would want to use them unless you know you will be moving. The risk to you may be sizable because once the rate term expires there is a good chance that the rate could jump. If your income can not support the jump in the rate that would not be a good thing, especially if your debt load has also increased during the fixed rate period. Having some cash reserves would be an excellent consideration when going with this type of loan program. The FHA loan has become an exceptionally popular loan program especially among 1st time home buyers. The main advantage of an FHA loan is the fact you only have to come up with a down payment of 3.5%. You are also not required to pay private mortgage insurance which is typically required under a conventional loan program when you are putting under 20% down. The FHA loan is also more flexible when it comes to a borrowers credit. For a full break down of the advantages of an FHA loan see FHA vs conventional rate mortgages. The caveat with an FHA mortgage is that you will pay an up front fee of 2.25% of the loan amount as well as .5% for the 1st five years of the loan or when your home equity hits 22%. The other considerations when trying to determine what the best loan program for your needs should be is the amount of points and fees you will be paying. There is a direct correlation between the amount of points and closing costs you will pay for your determined interest rate. The more points you pay the lower the rate will be. A mortgage point is equal to 1% of the loan amount. So if you are mortgaging $300,000 a point would equal $3000. The fees and closing costs also become important. If one lender is going to charge you more closing costs and fees for the same rate as another lender it might not make fiscal sense to use them. This is where comparing the cost of various loan programs becomes very important. Mortgage rates and programs are constantly changing today. It is always in your best interests to shop around for the interest rate and program that suits your life situation! About the author: The above Real Estate information on getting the best mortgage home loan was provided by Bill Gassett, a Nationally recognized leader in his field. Bill can be reached via email at billgassett@remaxexec.com or by phone at 508-435-5356. Bill has helped people move in and out of many Metrowest towns for the last 28+ Years. Bill I have visited your Real Estate site here a couple times and must tell you I am quite impressed by the information you are providing. It is easy to see why you are successful at selling homes. This article was very helpful in looking at the various options for mortgage loans. Keep up the great work! The financial industry has largely resisted efforts to publish the “real” interest rate on a loan and the average borrower today is pretty much confounded by the thousands of home loans on the market offered by hundreds of lenders. Not even a rocket scientist could easily calculate the best home loan in the market today without a fairly sophisticated software package or strong industry knowledge. Good summary of loan terms and programs. I have seen a big increase in VA loan eligible home buyers. VA loans require no down payment, 15 or 30 year fixed rates, and have no monthly paid mortgage insurance. VA even has no limit on the loan size like FHA and Conventional financing do….and rates are as low, if not lower, than Conventional and FHA financing.